Blue vertical-fine-rib-grain cloth. Blind and gray stamping on front. Gold stamping on spine. No decoration on back. 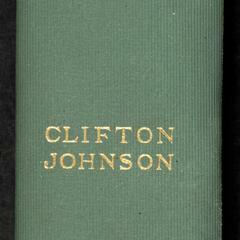 Endpapers printed with yellow series advertisement. Book is part of American highways and byways series. Book topics: Southern States--Description and travel; Southern States--Social life and customs.